This is an example of the ongoing debate/discussion about the “S” word. In my experience a high percentage of people who claim to be ‘spiritual, but not religious’ can’t really explain what they mean by this. That’s O.K. Many people have no idea about what they really believe, because many have never actually thought about it. Others seem to be afraid to identify as a “non-believer,” and simply use the phrase “spiritual, but not religious” in order to cling to various supernatural beliefs. Below is a quote from the Krista Tibbett podcast on her NPR radio program, “On Being,” from her discussion with Lawrence Krauss, titled, “Our Origins and the Weight of Space,” recorded in the summer of 2012 at the Chautauqua Institute in western New York. 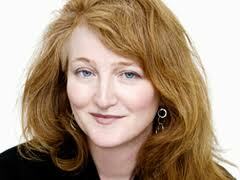 Krista Tibbett: What is the spirituality of a scientist? 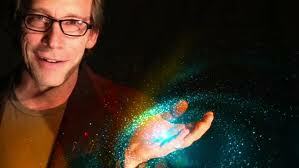 Lawrence Krauss: The spirituality of a scientist? The spirituality of a scientist. . .if I had to use that term. . . is “awe in the wonder of nature.” And. . . the realization that spirituality isn’t having the answers before you ask the questions. Real spirituality comes from asking the questions and opening your mind to what the answers might be. ‘Spiritual’: what a weaselly word that is! Much like ‘Intelligent Design’ as a euphemism for ‘Creationism,’ ‘spiritual’ is a word that believers throw in when they’d like to claim something for religion, but suspect they wouldn’t get away with it. ‘Spiritual’ is conveniently ill-defined and therefore perfect for their purposes, conveying, as it does, a vaguely religious implication that humans are special, somehow elevated above the other animals, attuned to other-worldly influences and having an added dimension that cannot be satisfied with mere Earthly matters. ‘Spiritual’ leaves open the possibility of ‘mysticism’ and ‘higher powers’ and ‘immortal souls,’ without ever having to spell out, and therefore defend, what is meant by such things. My “emotional and psychological well-being” frequently comes from my “awe in the wonder of nature.” However, I also can achieve emotional and psychological well-being through the love from and for my family, the enjoyment of beautiful art, music, dance, theater, food, friendship, and laughter. It’s not necessary for me to chase this primitive idea of a spiritual nature. My human nature and my “awe in the wonder of nature” fills me to the brim with “emotional and psychological well-being.” Nothing supernatural is required. I’m a happy Humanist. This entry was posted in Religious Beliefs, Superstition, The Happy Humanist and tagged natural phenomena, philosophy, secular humanism by steelmanthehumanist.com. Bookmark the permalink. You’ll likely find this link interesting: http://www.alternet.org/religious-people-more-likely-commit-crimes-atheists. My puzzle is “why” this group is more prone to “anxiety disorders, phobias and neuroses” than atheists, agnostics and religious people.”? I like the exploration of the word that you present. I have always resisted the s word, but it is hard to say exactly why since everyone seems to have a different definition of what it means. Awe in the presence of beauty, friendships family, – that I can relate to. So enjoy your humanist writings! Such a treat, and a welcome relief from all the political nonsense. And thank you for RBH being there when I was opening the closet door. You helped me rip it off its hinges and toss that door into the dust bin. Never felt so free in my life, and full of awe and wonder. For those like me, who do not need the cage of dogma and fear, Nature can a source of endless inspiration, a true connection with everything larger than ourselves. In a word: spirituality.